Thelma Rivera is Of Counsel for the Firm and is the current chairperson of the Corporate and Banking Law Department. Ms. Rivera concentrates her practice in the areas of commercial transactions, such as mergers and acquisitions, reorganizations, asset securitization, commercial lending transactions, infrastructure projects, including public-private partnerships, and real estate law. She also has extensive experience in contract work, municipal bond issues and corporate governance. Her work has led her to deal with transactions involving shopping centers, hotels and related tourism facilities, public utilities and infrastructure, pharmaceutical companies, manufacturing facilities, residential and commercial construction projects, and sales and distribution companies, among others. 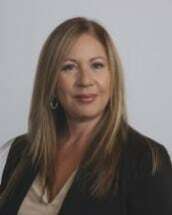 Ms. Rivera is member of the Board of Directors of Interlaw, an international legal network of independent full service corporate law firms with a distinguished reputation for adherence to the highest international standards of ethics, client service and professionalism.